Liverpool’s title rivals Manchester City are currently being investigated by UEFA for Financial Fair Play breaches, but it’s unlikely they’ll face the kind of stern punishment some fans are clamouring for. UEFA have said they’ll make no further comment on the situation while investigations are underway, but have confirmed they’re looking into some allegations made public in the mass media. 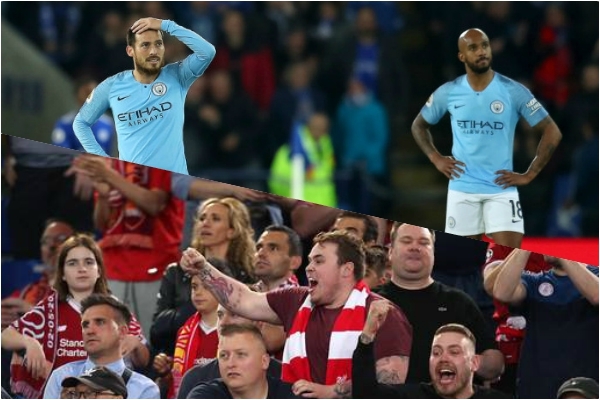 Some Liverpool fans on social media – some sarcastically and others not so much – have been calling for City to be deducted points as the Reds look to usurp the Citizens in the Premier League title race! Even if City were found guilty of breaching FFP rules – as they were in 2014 – they’d likely face a financial penalty. In 2014, they were fined over £80million and were forced to submit a reduced squad in the following Champions League campaign. UEFA could throw City out of Europe’s elite competition, reduce the size of their squad, or issue a points deduction – by law… It is unclear what punishments the Premier League may hand out if City are found guilty, of course. The Premier League and UEFA have a different rules regarding FFP; UEFA expects clubs to break even whereas the PL allows clubs to register losses of over £100million. City are also under investigation from the FA for an alleged pay-off to the agent Jadon Sancho when the winger was 14-years-old.